Are you looking for a cozy place for your holidays with friends or family? 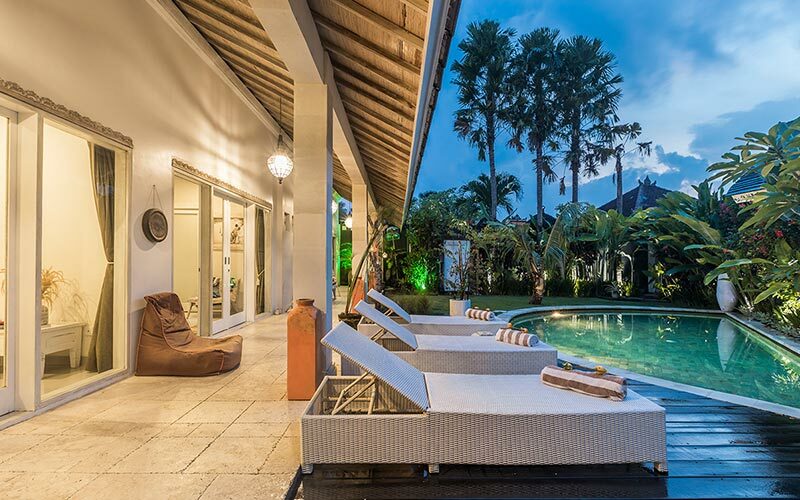 Located between central Seminyak the seaside resort of Bali, the famous area of Oberoi reputed for its trendy restaurants and the beach known for its fabulous sunsets, the complex of villa Lollie and villa Vaiana is for you! With a mix of modern and traditional architecture, this vacation rental will offer you full privacy in a perfect cozy house. In each villa, you enter by a beautiful authentic Balinese door to get into your little cocoon. On the edge of each pool, sun beds are waiting for you to enjoy your peaceful haven. Each house is composed by a kitchen, a dining room and a living room. Enjoy a brilliant and subtle decoration in this contemporary place. The three charming bedrooms, two in villa Vaiana and one in villa Lollie, are air-conditioned. Each one offers a luxury canopy bed and a private bathroom with its little tropical garden. You will find a TV in the living room of villa Vaiana and one in the Lollie bedroom. 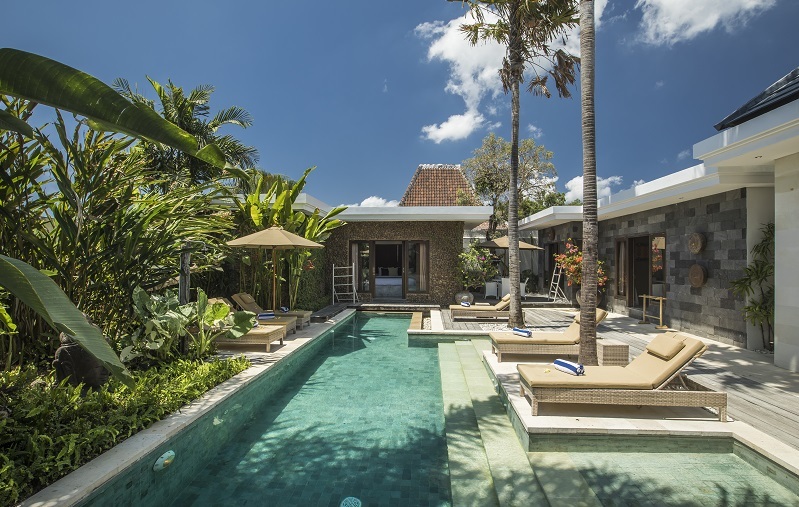 The two villas communicate by a beautiful wood Balinese door. Don’t wait anymore, pack your luggage and fly away for the island of Gods! You have review for Villa lollie-vaiana?